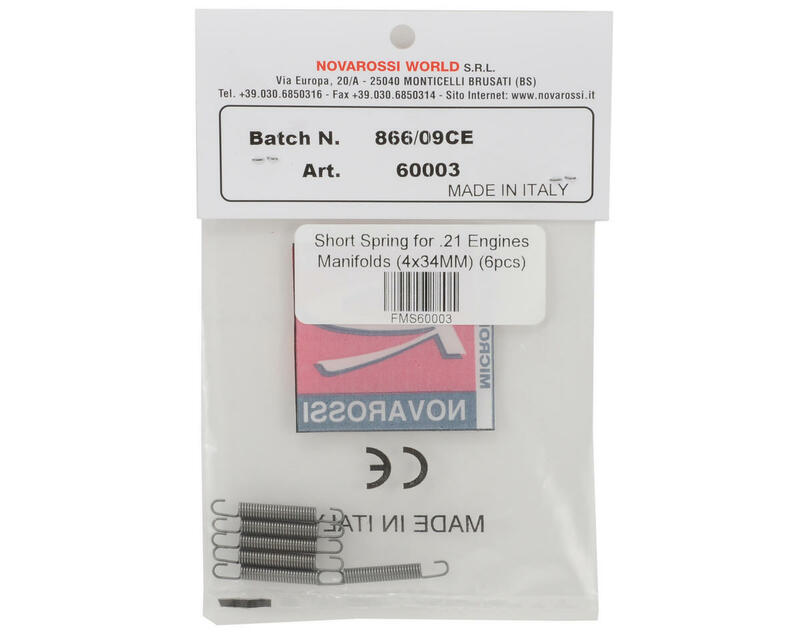 This is a pack of six Novarossi 4x34mm Short Manifold Springs and are intended for use with Novarossi .21 size engines. These springs attach to the engine case spring tabs, and then to the manifold to securely attach the manifold to the case. 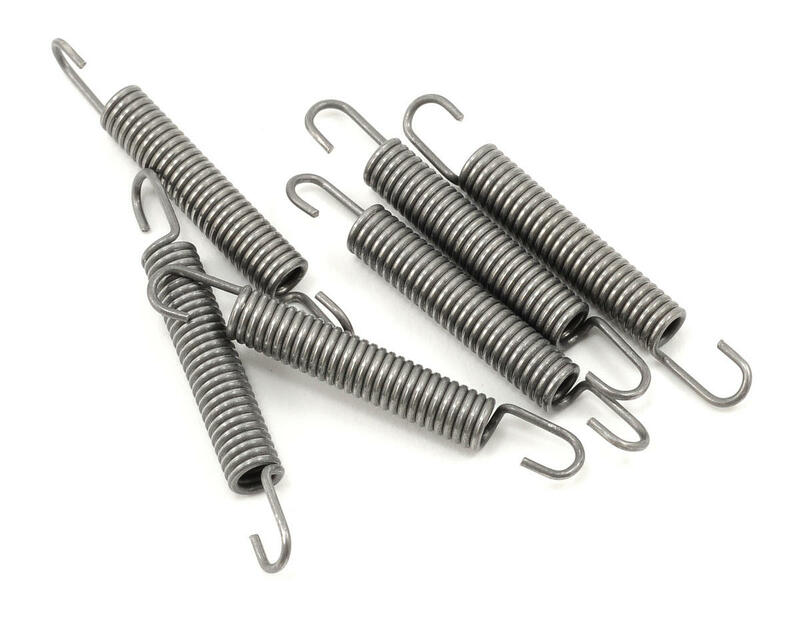 These springs are nice because they do not wrap around the entire engine case and will help to avoid the scratches in the engine case that are created by standard long manifold springs.